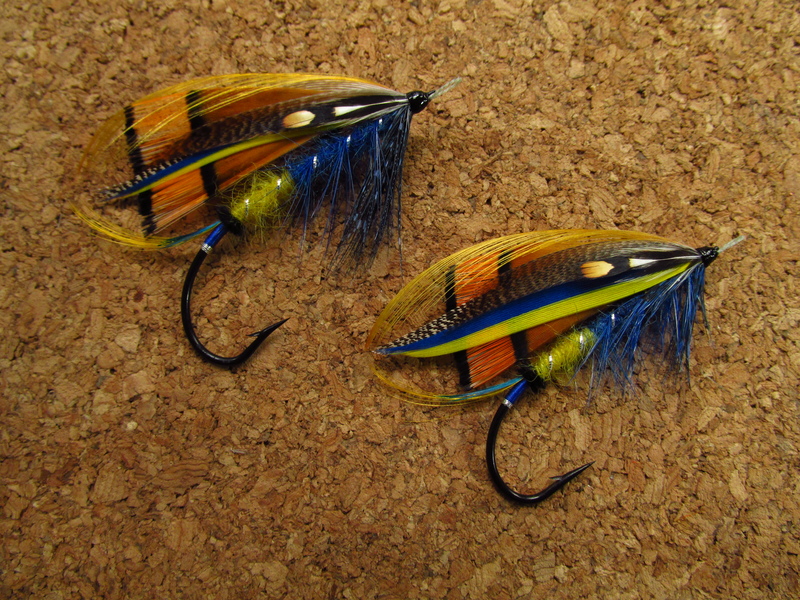 This is directed toward those tyers who have begun tying Atlantic Salmon Flies or are about to embark on that journey. “Errors” tend to compound themselves. If something is not quite right, it’s difficult to keep in place, is split or falling apart, or just doesn’t look right, it will definitely not get any better as you add more to the fly! Patience and discipline are required to go ahead and remove the offending material – even if it is a few steps back – and start again. Don’t compound the error. Along the lines of item #1, the tail sets the tone for your fly. It might be worthwhile to lay out the tail and topping (pre-selecting) with your hook to get a visual of what the framework of your fly is going to be. It is better to have the tail too short than too long in my opinion. Tail and topping (golden pheasant crests, usually) do not have to meet; it is often enough to have the suggestion that they would meet. That said, most classic salmon flies employ a tail and topping and it is good form to have them meet at the rear of your wing. In short, get the tail right before you move on or you may have to compensate later to the detriment of your final result. 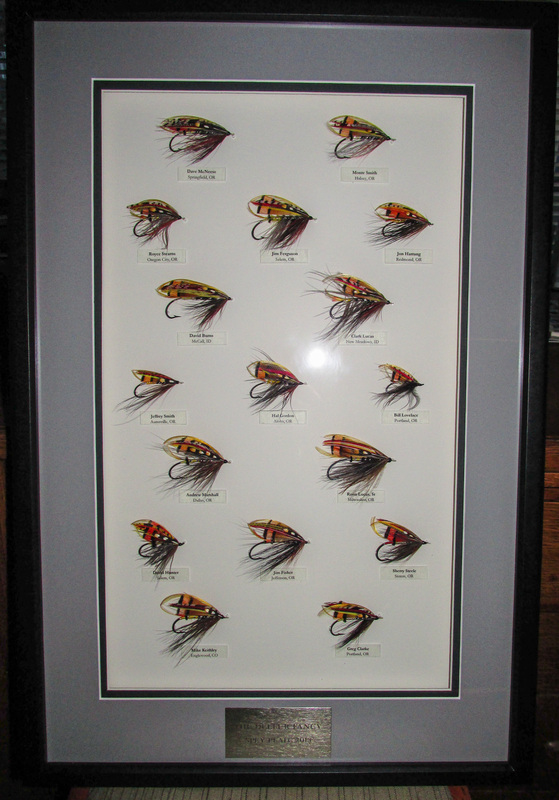 You already have a lot of materials that are used in dressing salmon flies. You need not go out and spend a lot of money to buy the most rare and unusual materials when starting your salmon tying career. In fact, I would recommend practicing with cheaper materials as you work on techniques. Goat instead of seal’s fur. Rayon floss instead of expensive silk. Mylar tinsel instead of varnished metal. Mounting simple wings constructed of turkey (I know you have some for nymph wingcases) and perhaps goose feather fibers will serve you as well for practice as building wings out of bustard or other expensive feathers. There are also plenty of excellent substitutes available for things like kingfisher, toucan, and Indian crow that are inexpensive. 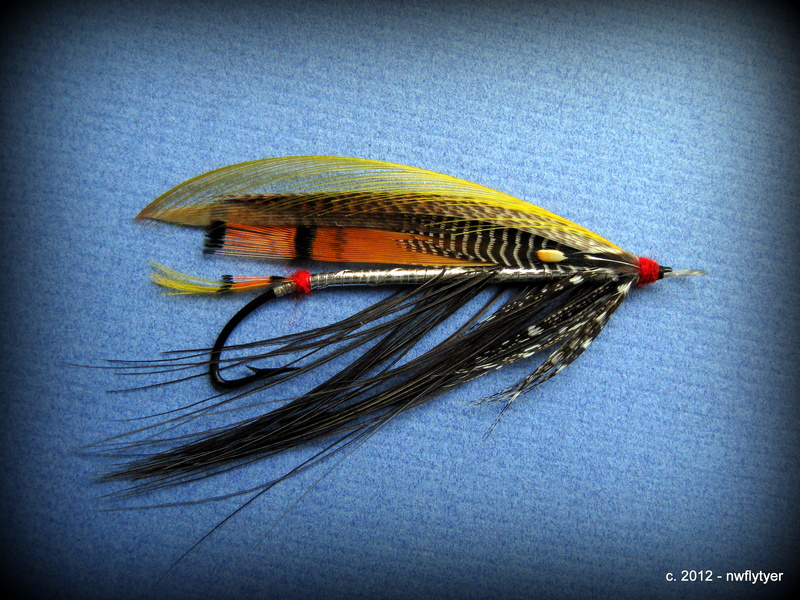 Tie on regular steelhead/salmon hooks which are cheaper and more readily available than blind-eye hooks that require the addition of a gut loop. Stick to sizes no larger than 2/0, and you should have no problem finding materials that will work on flies of this size. Even on more expensive materials, there is often a significant price break for the smaller feathers (i.e., shorter barb length). Once you feel more comfortable in your tying, you’ll know when it’s time to seek the rarer materials and the bigger hooks. Practice. Especially setting wings. Make sure they are like a knife-edge along the top of the hook shank and that they don’t veer to one side. Work at compressing the materials into as fine a point as possible; the colors should spring from that point. Beware of splitting! Practice. Work on making smooth underbodies, even when it is going to be covered with dubbing. This pays off when it is time to wrap a smooth tinsel or silk body. You want to develop good techniques and work at them all the time. And did I mention, practice? Pay attention to proportions. While there are not hard and fast rules governing every item on every fly, there are generally accepted parameters for proportions. As you explore the writings of past and contemporary tyers, pay attention to what is said about proportions. Things like tag length and alignment, wing length, number of rib turns (trust me, remember the number 5…it will keep you from being drummed right out of the club), body hackle and throat length, etc. Pay attention to the proportions as you progress through your fly. Don’t be afraid to mark the underbodies with a pen and to measure materials as you go. Be patient and selective in what you apply. Along these lines, I think some of the best advice I received early in my salmon tying days is to use a light colored thread (white or yellow) for dressing the majority of the fly. It is much easier to work against a light underbody than a black one (and easier to mark with a pen). Black thread can darken materials. You can color light thread with markers when dubbing multi-colored fur bodies (this is another trick for you). I have a number of Sharpies for just this purpose! 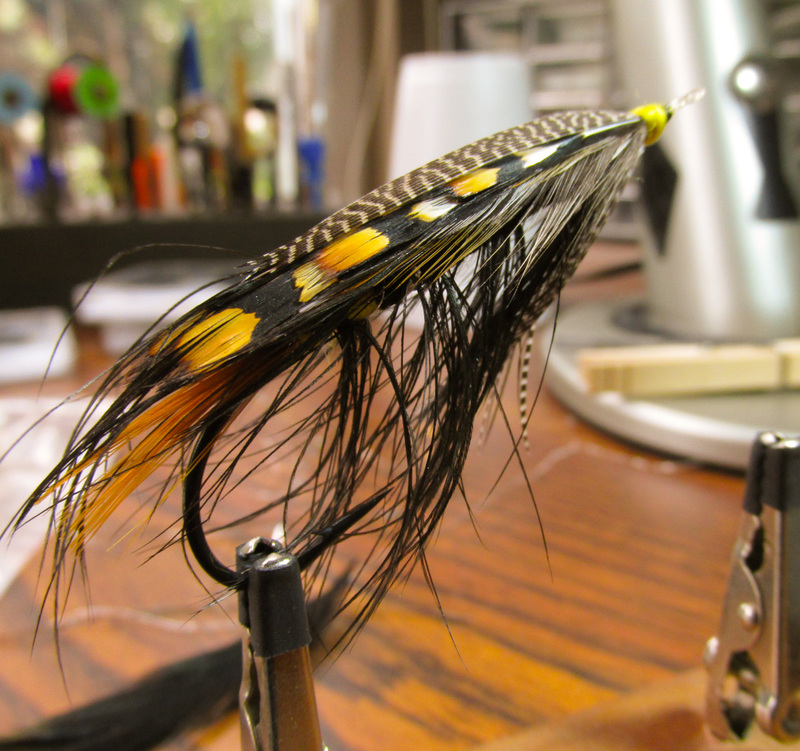 Switch to black thread once you’re ready to set your wing and then finish the fly. Learn to control your thread. Be able to place it precisely from front to back and anywhere in between. Be able to flatten it by counter-spinning your bobbin; keep in mind that some thread flattens better than others. Some threads are round and will never flatten out properly, so you might need to check into this a bit. 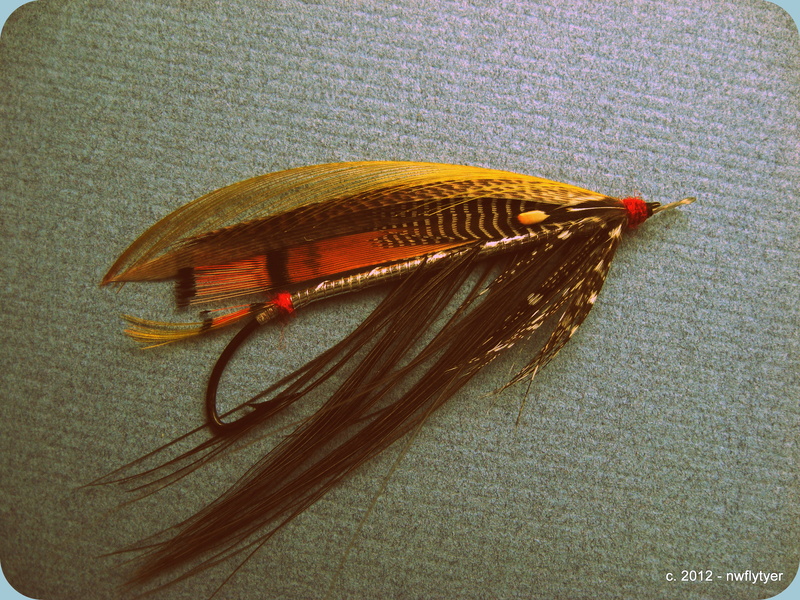 For me, I tie almost all of my salmon flies with Danville 6/0 thread. I want a flat thread to seat things like cheeks and to build smooth underbodies and tie small heads. I might want a more round thread to grip a material and pull it into place. The more you progress, the more that thread control becomes essential to getting the best results out of your efforts. Use an “economy of wraps” to hold materials in place. Practice wrapping 5 turns to hold materials, then backing off 2 or 3 of them before progressing to the next step. An example is holding a tinsel rib with 5 turns before wrapping the hackle forward. Once the hackle is at the tie-off point, back off 2 or 3 of the turns holding the tinsel and then secure the hackle. Also, use a half-hitch at strategic points to hold your thread which avoids unnecessary wraps building up. Using the “right” materials makes things go much more smoothly. By “right” I don’t mean in terms of authenticity (although that can be an item for debate as well), but rather the correct type or section of a given material. 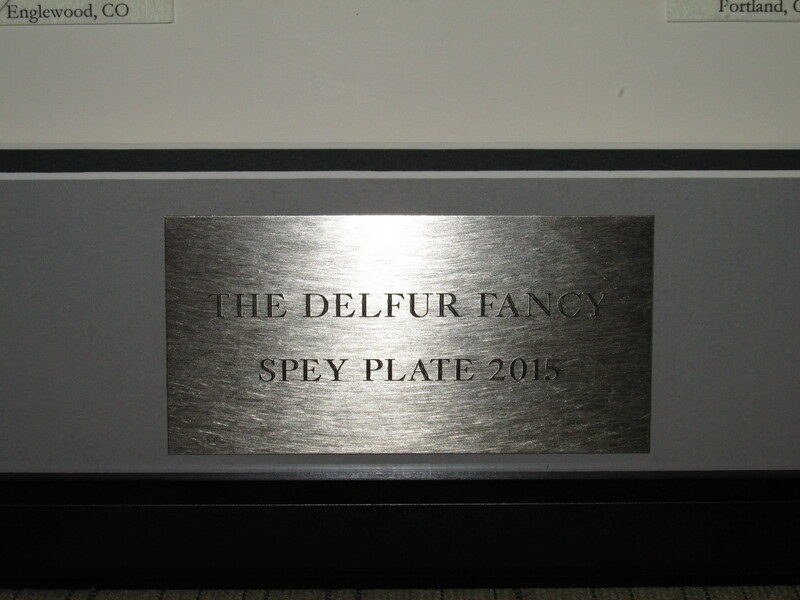 The entire bronze mallard feather is not suitable for making Spey wings or roofs, for instance. There is a sweet spot of 1″-1 1/2 ” where the material is perfect for these applications with soft base fibers and edges that stay married. Same goes for tools – the right tools help get the job done with minimum of fuss. With practice, you will become adept at selecting the proper material or tool for performing the task at hand. 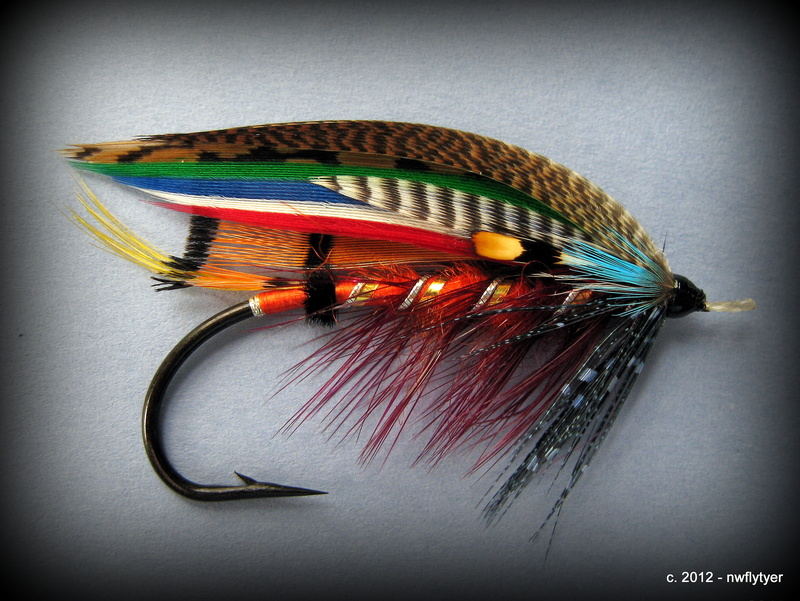 This is by no means a comprehensive list of things to guide the budding salmon fly tyer, but it is a start. Every time we dress a fly it is possible to run across a helpful hint or tip to remember that helped solve a problem, made a task easier, or made the final result look better. I will address some more specific tips in a future post.